Brass finishes for interiors. Litecraft's guide to styling your home. 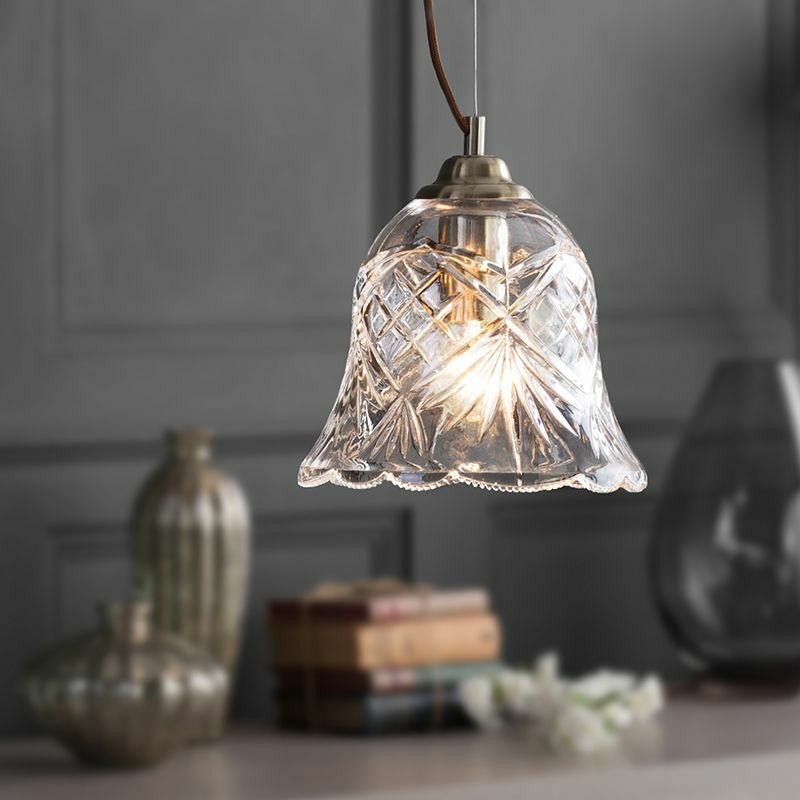 This time of year is all about feeling warm and cosy, bringing warmth into your interiors is so easy. All you need is warm tones, textures and a cosy ambience. We’re seeing so many more warmer tones in the world of interiors, including rose gold, copper and bronze, but today we’re going to look at brass tones. Brass finishes are a great place to start. This finish can give any home a luxe feeling as well as bringing in a warm atmosphere. Whether you’re going for a vintage, industrial or contemporary theme in your home brass is so versatile it can mingle in with any trend. 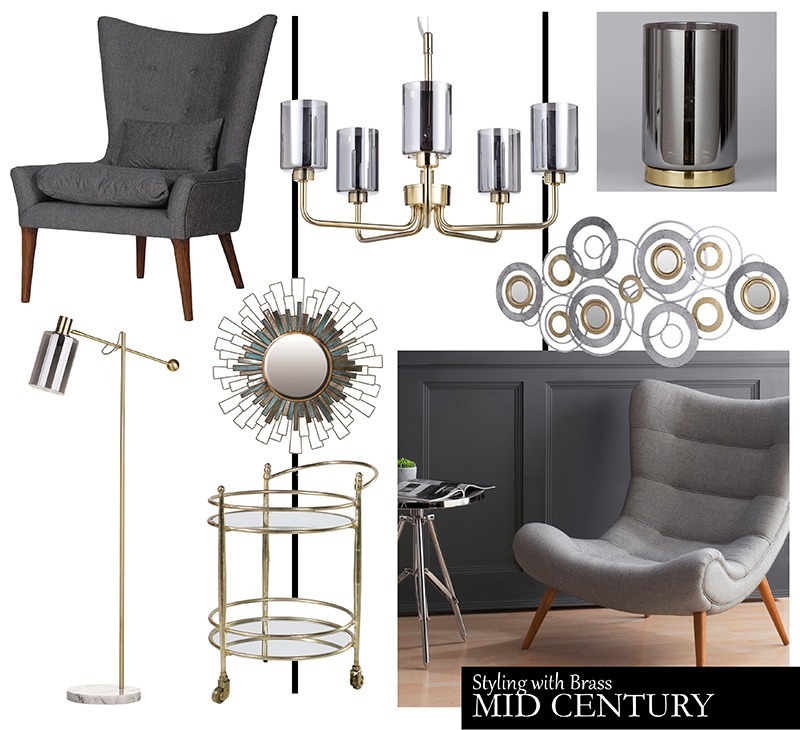 Brass is going to be a super on trend tone for the next year so we’re going to help you get the brass look in your home with some simple styling tips. 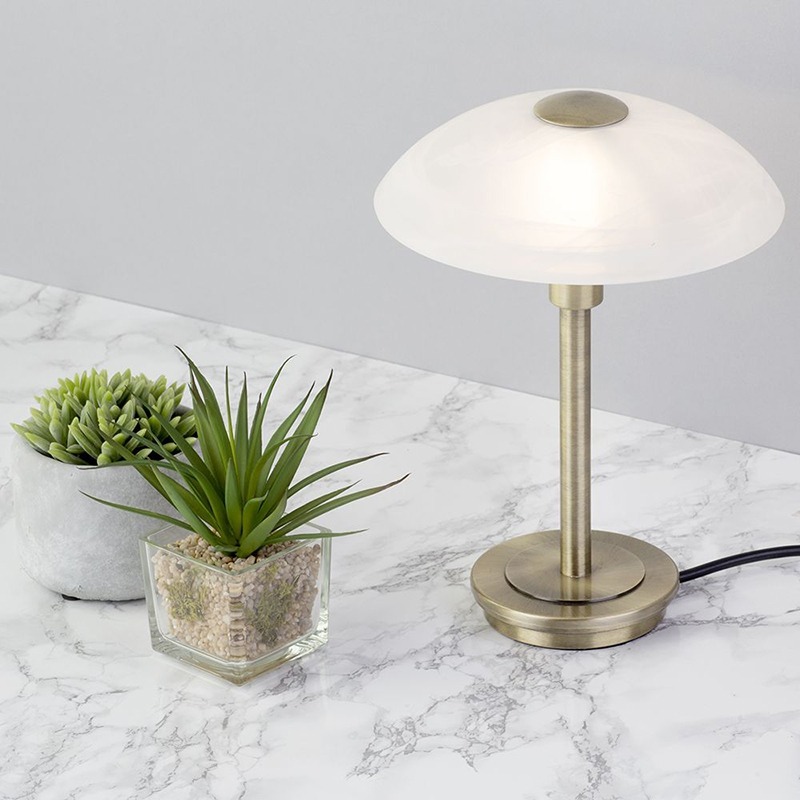 There are different tones and styles of brass to choose from, satin brass gives a polished shiny finish and can look great in a contemporary space. 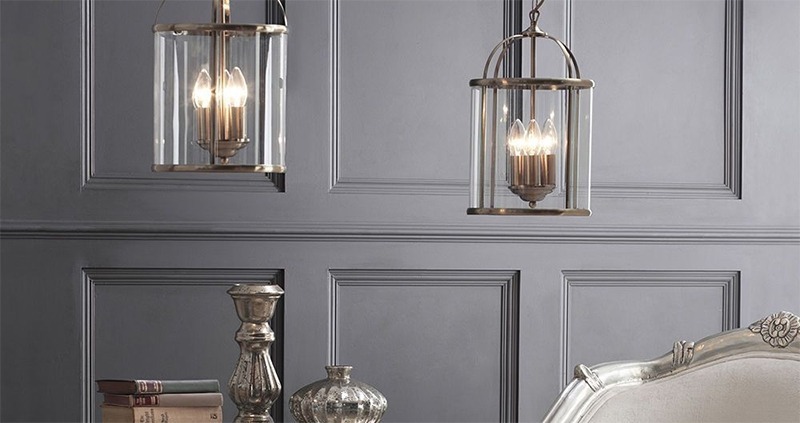 Whilst antique brass finishes are darker with a more brushed textured look which will give a vintage or industrial room it’s pièce de résistance. Introducing brass finishes to your home can sometimes feel quite daunting so start small and ease yourself into the new look. Add a few plant pots, candle holders and kitchen utensils around the home to gradually build up the brass look. 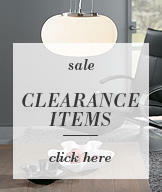 Then choose larger pieces such as brass legged coffee tables. 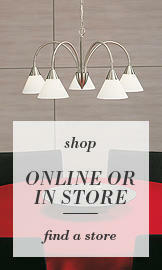 Brass based table lamps or trendy drinks trolleys with brass piped edges. 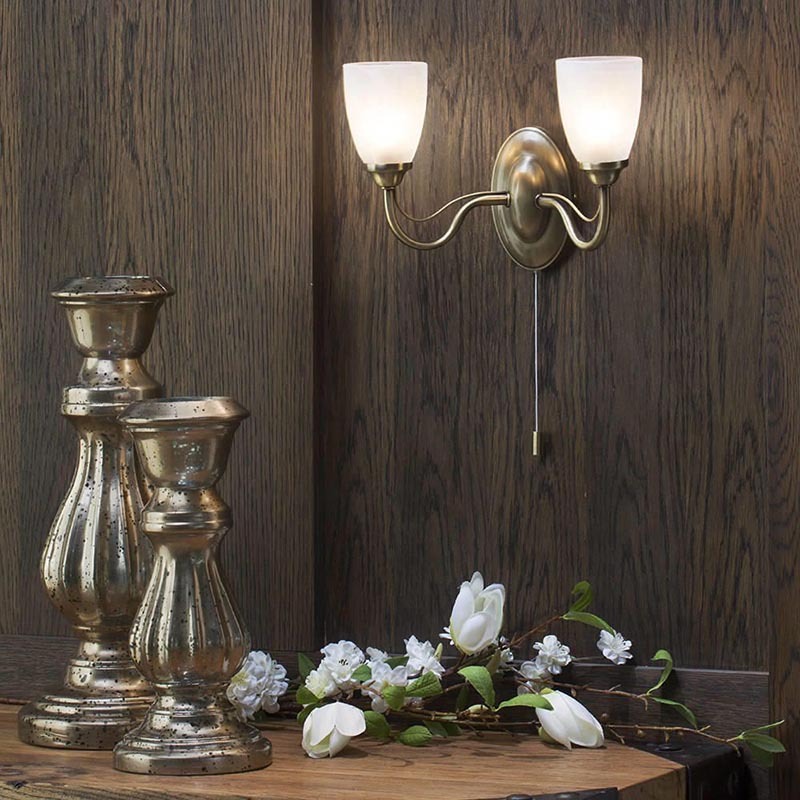 Vintage finds in brass will add character and personality. Mingle on shelves with other eclectic pieces. It’s all about gradually introducing the colour to ease yourself into the new interior look. Once you start to get the brass feel and look flowing into your home. 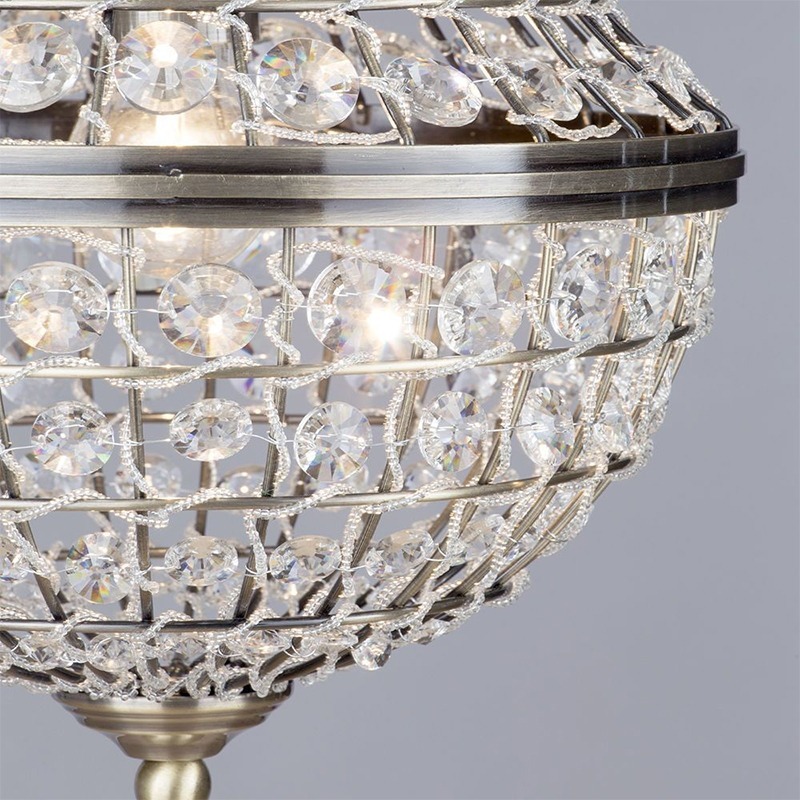 Then start to add more substantial pieces such as chandeliers and ceiling pendants. The great thing about this colour and finish is how versatile it can be in the home. As expected, brass looks great against neutral tones such as whites, creams and beige. But this finish will work wonders next to a whole host of other colour themes. 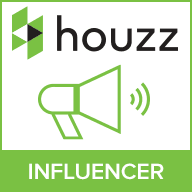 Take greenery or jungalow for instance, this luscious and vibrant trend looks great paired with an antique brass finish, green can sometimes feel a bit cool and airy, so it’s nice to warm the trend up by adding a hint of brass. Blush pink and grey is a trend that seems to be staying put for a while, add brass tones and the look instantly become more grown up and sophisticated. Navy blues and indigo already have a regal feel but add brass trimmings and accessories and you’ll instantly give your home a look that’s fit for the queen. 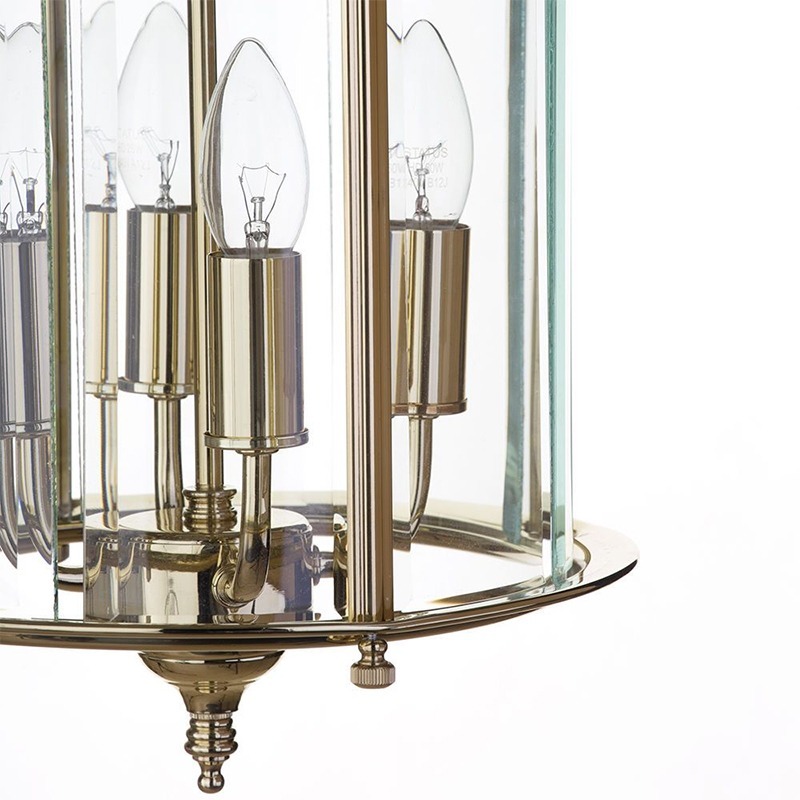 Litecraft offer a wide range of brass lighting, whether it’s a crystal adorned chandelier in an antique brass finish. 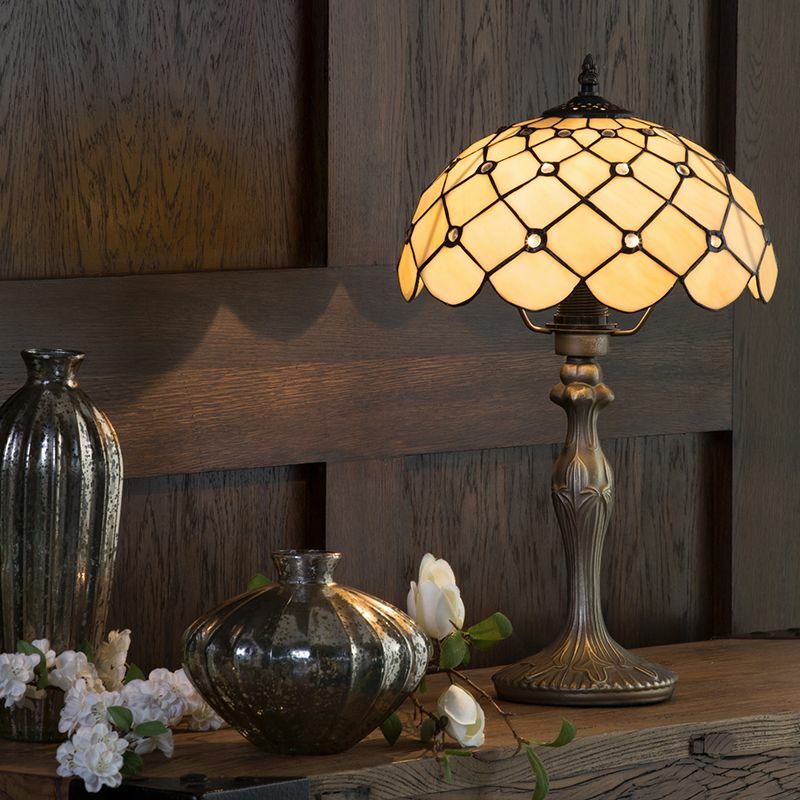 A brass based table lamp with Tiffany Glass shade or even a mid century polished brass finished floor lamp with an art deco vibe. 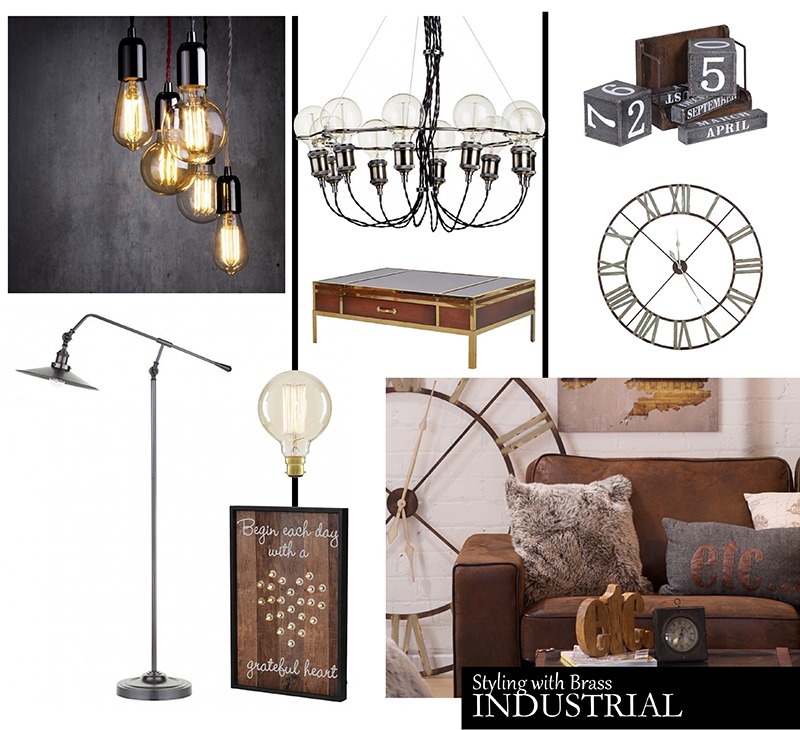 Our industrial styled lighting also includes a few brass pieces. Particularly in the antique style for a more rustic look. 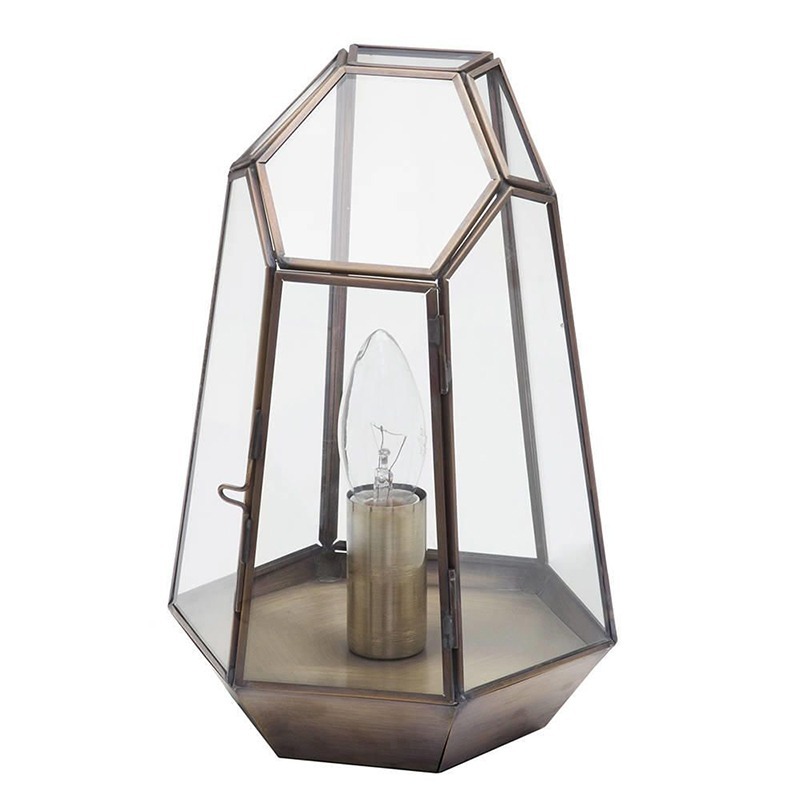 Our terrarium table lamp has been a popular line this year. The brass finished piping looks great in a greenery setting together with succulents, cacti and scandi pieces. 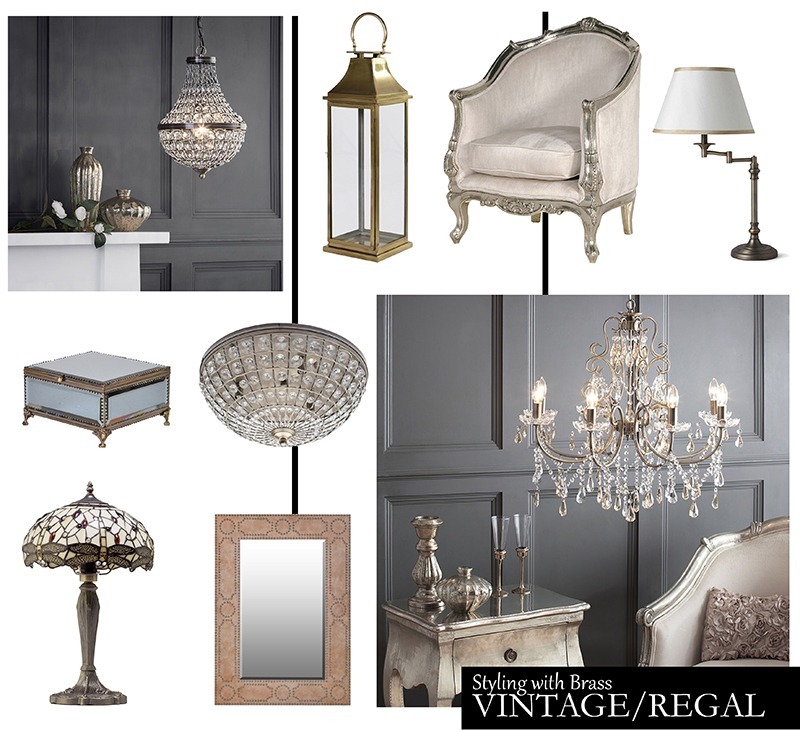 We’ve pulled together a few looks that we think look great with brass spanning over many era’s. 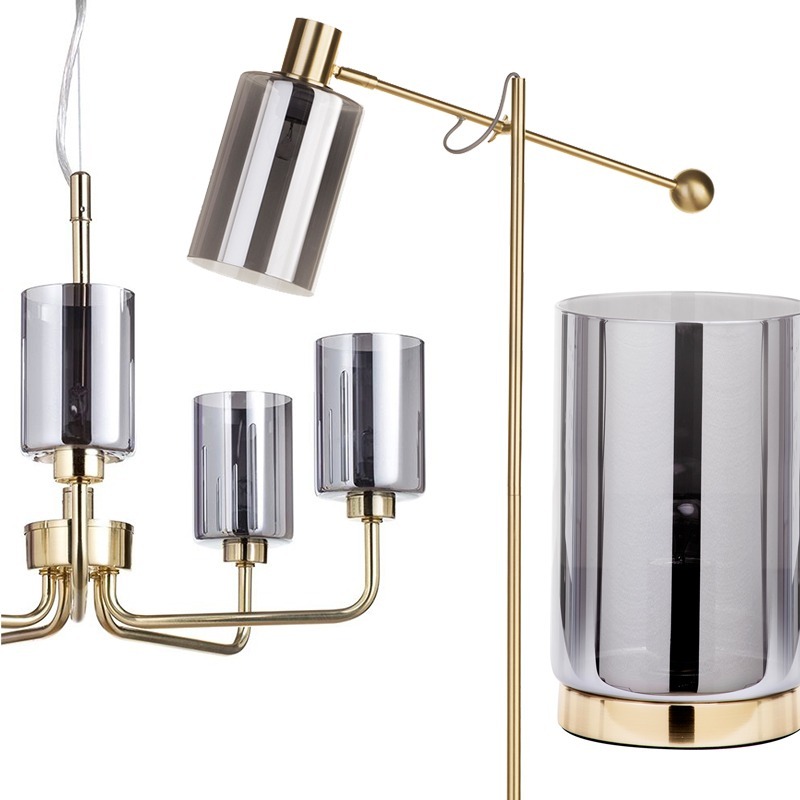 Take a look below and see if any of these brass looks take your fancy.